Corrie's Fiz Stape to stand by killer husband? 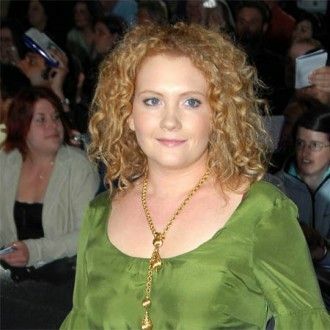 Jennie McAlpine thinks her 'Coronation Street' alter-ego will stand by her killer husband if his evil secrets are revealed. The 26-year-old actress - who plays Fiz Stape in the ITV1 soap - thinks despite John having killed his crazy stalker Charlotte Hoyle (Becky Hindley) and playing a part in the deaths of Colin and Joy Fishwick (David Crellin and Doreen Mantle), the new mum would be likely to carry on supporting the treacherous teacher. She explained: "You would think the more that comes out, all the terrible things he's done, surely the less likely Fiz is to stand by him. But history shows the opposite. "Every time something has come to light, she has stood by him in a monumental way. First time, she took him back, second time she married him, third time she's had his baby. I've no idea what she's going to do next." However, Jennie warned viewers not to assume John (Graeme Hawley) will necessarily get his comeuppance, as he could argue the killings were "self-defence". She added to the Glasgow Sunday Mail: "We assume John is going to get his comeuppance but I don't know what the rules are in this case. Murderers in soaps are supposed to get payback. "But apart from Charlotte, who technically he bashed to death with a hammer - you could argue that was self defence - he's not meant to kill anyone. It's like accidents follow him wherever he goes. He's got the opposite of the Midas touch."